The shower drain is clogged with hair and won’t drain properly. My kid stuck a toy down the toilet again and now my toilet is overflowing. The toilet bowl isn’t filling up with water properly. Do these sound familiar? Well (simply put) these are all average, everyday plumbing problems that can happen to any typical homeowner. It might be tempting, at first, to call in a local plumber, but we can assure you that these minor problems can be fixed with a few simple tips and tricks that will not only save you time and money, but will give you some feeling of empowerment that there is nothing you can’t handle. 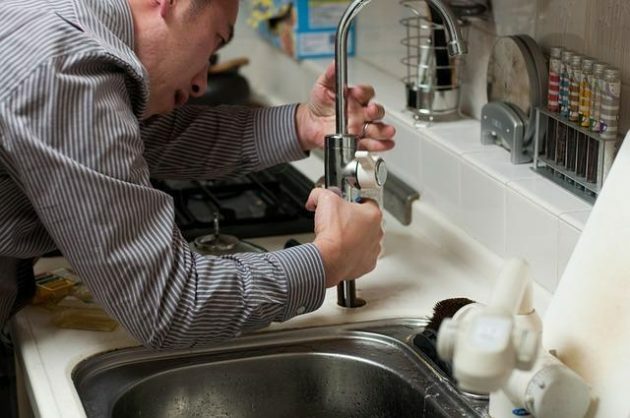 There are a few tasks, in the kitchen or bathroom, that should be left to the professionals –– meaning it might not be a good idea to mess with the pipes if you aren’t entirely sure what to do. However, no one said anything about replacing simple parts in both your toilet or your faucet. We’re sure every parent has had (or dreamt they had) this horrendous nightmare. The kids want to make their action figures, or toy boats, float in the toilet and they flush them down and, next thing you know, you got a dirty mess to mop up. Well, avoid the nightmare by having a handy shop vac for sucking up those half-stuck G.I. Joes. This will be much easier and less stressful than a plunger which can only make the problem worse by pushing the toy down further. You can pick up one of these heavy duty machines at your local retail or home improvement store. Take Advantage of San Francisco’s Toilet Rebate! Pretty much, they will replace any old fixtures with water-efficient ones which will save you time and money with the plumber for consistent problems and will save you some dough on your water bill. Taking Out The Sink Trap? Plunge First! A sink trap is a bended pipe that prevents those smell sewer odors from coming through your sink while allowing what goes down to move along. If you need to remove the sink trap, you’ll need to remove some of the water from it first. This is easy by just plunging it real good with a plunger to avoid a smelly mess. Got a double sink? Make sure to plug the other side to contain the air pressure. With these simple tips and tricks, you can now take care of minor plumbing problems. But what if you got a major issue –– one that you have no knowledge of or is too complicated to fix? That is where you need the experts to come in. You need to get a good plumber in Frisco who is well versed in all plumbing problems, reliable, affordable, and provides excellent customer service. And who will make sure that the job gets done right the first time too.